In the heavy soil the heavy trucks hardly make it across the hill. Usually, the little water tank rumbles around the rocks and gravel spilling water onto the dry soil in order to keep the dust under control. At this time of year, it works the other way around: the truck works its way through the heavy soil sucking in water from the various puddles that have built up all over the construction site. The average precipitation for this region at this time of year is supposed to be 60 mm per month. "But then we had 140 mm of rain in December, not to mention the month of May when we were almost washed away," says Grégory Ernst, one of the engineers working for Valerian, the company in charge of the levelling of the ITER site. Grégory has been kind enough to take us on a tour around the site this morning. "See the trucks over there? They can hardly make it up the track across the hill. The soil is just too wet for the heavy machines." 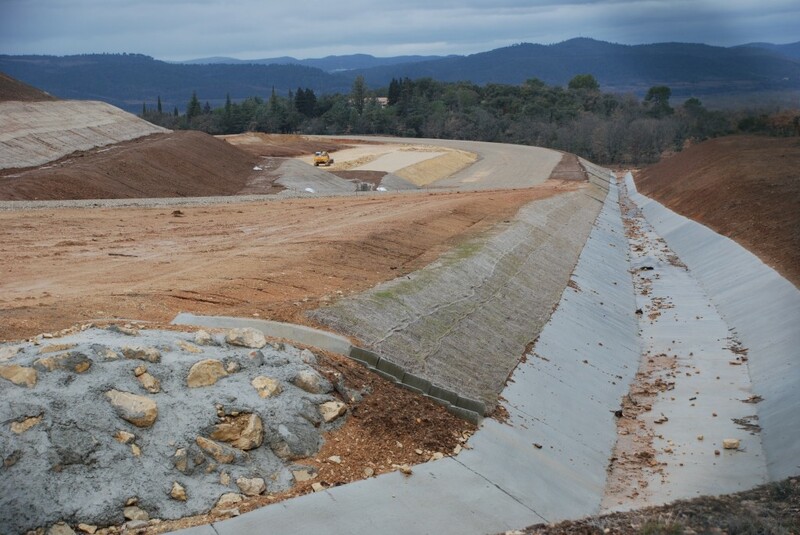 The access road for the "convois exceptionels" which will deliver the heavy components for the ITER machine is bulldozed. The site levelling works should have been completed by November last year. But due to the bad weather in spring 2008 and the snow and ice this January, about 15 percent is still to be completed. The unexpectedly heavy rainfall also makes it necessary to increase the volume of the storm water basin from 10,000 to 13,000 cubic metres. 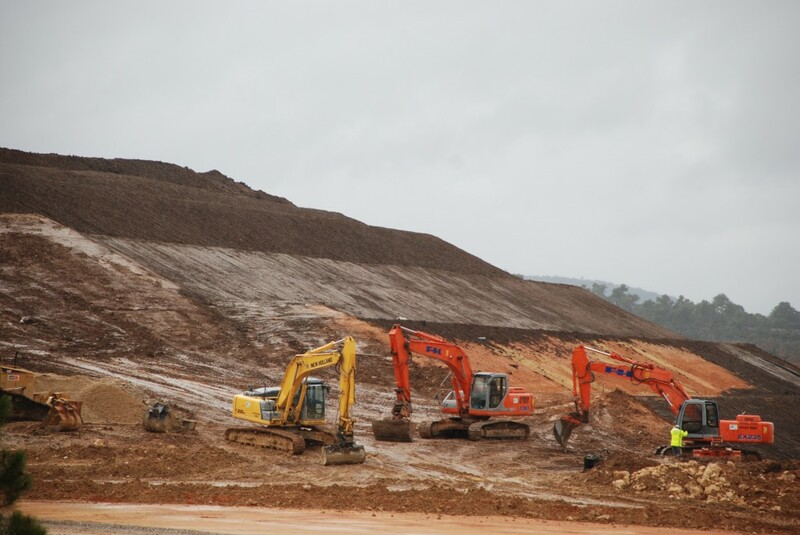 But there is good news as well: the access road for the "convois exceptionels" which will deliver the heavy components for the ITER machine, is being bulldozed, as well as the platform for the annex buildings and the car park. And very soon the dark brown landscape should turn into green fields. Currently, the hills and slopes of the tokamak platform are being covered with canvas mats to consolidate the top soil. As soon as the weather allows, the gardeners will move in and plant domestic seeds like lavender, rosemary and thyme.